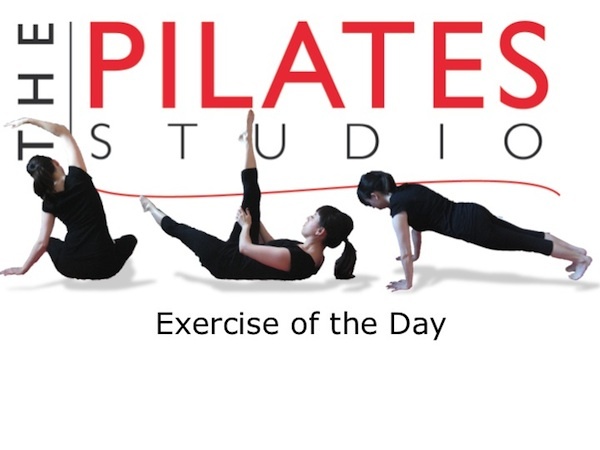 This exercise adds proprioceptive challenges to an exercise that is intended to differentiate the movement of the arms from the movement of the spine and shoulder sockets. To do this exercise you will need a mat and a foam roller. Start by lying on your back on the Foam Roller. 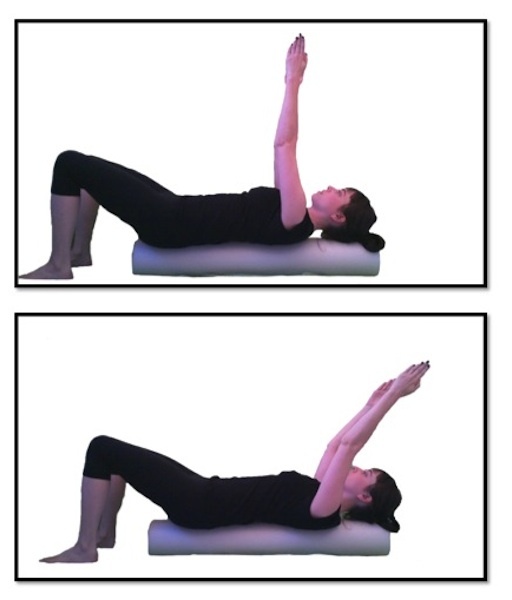 The Foam Roller should be parallel to your spine. Your knees should be bent and your feet should be planted in the ground. Your hands should be on the ground next to your hips with your palms facing the log. Inhale into the back of your ribcage as you begin lifting your hands along an arc-like pathway towards the ceiling, and then exhale as you send your arms to the ground behind you. Inhale again as you begin arcing your arms back towards the ceiling and then exhale as you return your arms to the ground next to your hips. If there is pain in the shoulder then adjust the range of motion to a pain free zone. As you continue this movement then most likely the range of motion will increase.